I'm taking a break from recipes for a while. My favorite recipe right now is the speed dial for Chinese delivery. So enjoy some free books instead! I'm really enjoying being on Instafreebie. If you haven't heard of them and you love reading, go check it out. They have book bundles and book giveaways happening all the time. You download the book directly from the site, so no coupons or other codes to worry about. This one ends pretty fast - December 3 is the last day to claim your free books, so zip over and snag some great science fiction. And another great line-up of books that are free through December 31. Go over to the site, download your choice of some great science fiction, and enter the giveaway for prizes like a Nook or Kindle fire and other great stuff! For some weird reason, I spent way too much time on Netflix months ago and added a whole long list of old movies to my queue. We're finally getting them shipped. Yeah, I still do DVDs through Netflix because it's the only way to get my fix of some of these things. While I've enjoyed a lot of the classics, like Singing in the Rain and the Trinity cowboy movies, others have been real duds. There is a reason I never heard of them before. I'm surprised someone cared enough to release them on DVD. Or maybe they were just trying to milk the cash cow. Here are the latest two stinkers. Still very watchable compared to the more recent disasters I've tried to watch. This had a decent plot idea, but it was a mess of really bizarre dance numbers, very uneven acting, and bad directing. 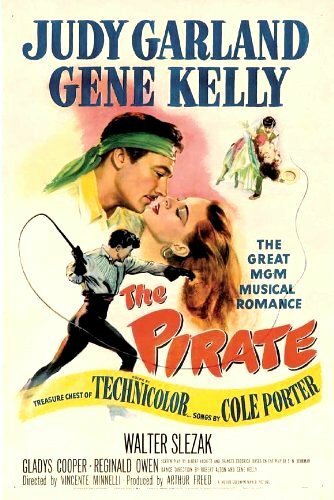 What promised to be a fun Gene Kelley pirate movie turned into a snooze fest of epic proportions. And I kept wanting to substitute lines from Wizard of Oz for all of Judy Garland's dialogue. If you want to watch a movie about an actor romancing the girl and saving the day, go find a copy of The Court Jester with Danny Kaye. You won't be sorry. It's a fun romp and the musical numbers add to the story. The Pirate? You won't be sorry, but you probably won't be very entertained, either. 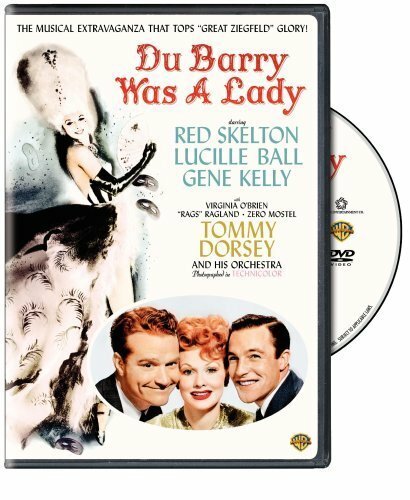 I have a secret thing for Gene Kelley. I admit it openly so I guess it isn't such a secret. Lucille Ball threw me for a loop. I had to look up the movie to find out it really was here. She played someone much different from Lucy. Red Skelton just looked young and not as goofy as he was in later years. The music in this one was off-kilter and felt like they had a bunch of really fun songs they wanted to perform so they strung them together with a sketchy plot they cooked up over one two many drinks the night before. Most of the movie felt like a musical variety show with Hollywood film direction. It was weird, slightly silly, and mildly entertaining. The other thing that struck me about these older movies is how utterly misogynistic they are. Women are to be pretty and silent. If you aren't young and elegant, you aren't worth talking to. But then the men turned into idiots whenever a woman was present, so I guess the stupidity meter went both ways back then. In both movies, they had a long, drawn-out song about all the beautiful women which turned all those beautiful women into nothing more than pin-up posters and the men into leering lust-buckets. No class, no taste. So, I'd pretty much skip these unless you have watching every Gene Kelley movie ever made on your bucket list. I've got some Southern blood. My great-grandmother came from North Carolina. I blame that for my hankering for fried foods and enormous cakes and having to feed anyone and everyone that shows up at my house. The quintessential Southern food has got to be hush puppies. Deep-fried balls of cornbread goodness. Mm-hm. I ate mine with honey. Bonus! This recipe is naturally gluten-free and dairy-free. It was definitely a winner. A word about corn masa versus corn meal. Corn masa is sold in bags and is a finely ground corn flour. Corn meal is the yellow crunchy stuff that's been around for ages. Masa is usually used for making corn tortillas or tamales. Corn meal is the more traditional ingredient for cornbreads and traditional hush puppies. I used masa because 1) I had it in my pantry, and 2) I wanted a finer texture. Please don't substitute one for the other. They cook differently and absorb different amounts of liquid. I need to experiment to find a good corn meal version of hush puppies. Mix all dry ingredients together. Add eggs and coconut milk (you can use other kinds of milk or milk substitutes, but I like coconut because it adds creaminess). Stir until combined. It should be a thick batter, slightly sticky but not quite thick enough to roll out like biscuit dough. If it's too dry, stir in more coconut milk. If it's too wet, let it sit for 10 minutes to give the flour a chance to soak up the extra liquid. If it's still too wet, stir in a couple tablespoons of the corn masa. Heat the oil to about 350° in a nice deep saucepan. You want it hot and shimmery, about where you'd fry doughnuts. Drop one spoonful of batter into the oil to test the temperature. I used a smallish cookie scoop. The oil should start bubbling. It should take about 3-4 minutes for the hush puppy to brown nicely. Pull it out of the oil and let it cool for about 5 minutes. Break it open to check for doneness. Adjust your oil as needed. If it's still doughy inside but the outside is getting too brown, the oil is too hot. If it takes forever to cook and is like eating a greasy sponge, the oil is too cold. You can also change up the size. If they are cooking much too fast on the outside but still raw in the middle, you can try using a slightly smaller scoop. A good rounded tablespoon size seemed to be about right for my batch. Scoop into the oil in batches of 4-8, depending on the size of your pot. Cook until done. Repeat until you run out of batter. Serve warm with butter, honey, hot sauce, or fried catfish nuggets. Or just eat the little balls of deliciousness. Makes around 3 dozen or so, depending on how big you scoop them. This is your last week to grab some great FREE fiction over at instafreebie. I'm in a giveaway with a lot of other authors featuring Robots, Wizards, and Zombies. 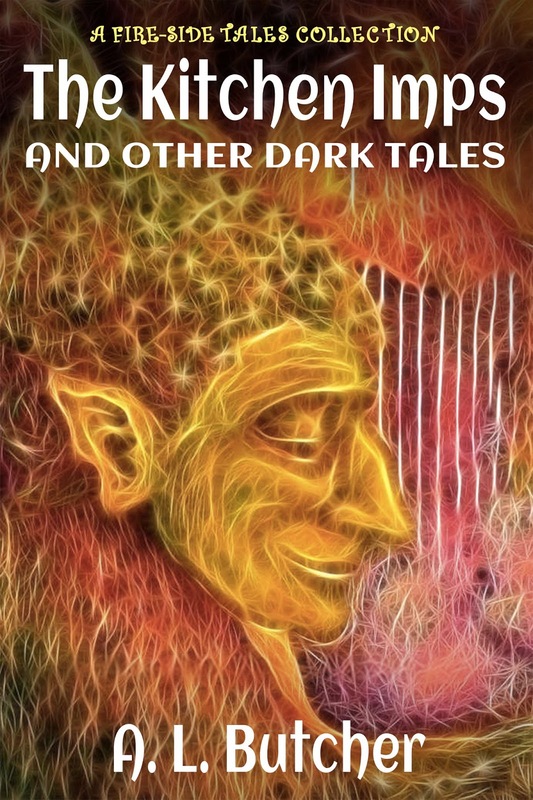 Science fiction, fantasy, and horror short stories up for grabs. No strings, no coupon codes, just claim the ones you want, download to your ereader, and enjoy! So I ran across this recipe for Chicken Piccata the other day and had to try it out. Of course I couldn't make it the way it said because of food allergies, so I did it my way. I like the way it turned out. It's basically sautéed chicken breast in a creamy sauce flavored with lemon and thyme and capers. Serve it over pasta and you have a tasty dinner that doesn't take long to make. Heat oil in a large non-stick frying pan over med-high heat. Add chicken, lemon slices, and thyme sprigs. If using dry thyme, don't add it here! Sauté until chicken is browned. Turn heat to med-low. Remove lemon slices and thyme sprigs and discard. To the chicken chunks, add salt, pepper, bouillon, and warm water. Cover and cook until chicken is just barely done, usually about 10 minutes depending on how big your chunks are. Remove lid and turn heat back up. Stir cornstarch into cold water and add it to the sauce when it is boiling. This is just to thicken it up. Stir in capers, simmer for 1-2 minutes. Serve over pasta or rice with extra capers as a garnish. I received an ARC (advanced reader copy) for review purposes. The roses of the Emperor, may he live forever and ever, are being stolen. Which wouldn't be such a problem, except some idiot imbued the red one with LOVE, and if it gets stolen, all the love will die. It's up to intrepid Chief Thief-Catcher Ned, his sidekick sprite, and an assorted team of weirdos to save the day and keep love alive. The book is full of unexpected twists and turns, fun characters, and generally just a lot of enjoyable silliness. But, and it is a big one, my copy was filled with typos and other editing issues. The farther I got in the book, the more problems I found. I'm not sure if it is because I got an ARC and the published version has been cleaned up or not. I can overlook some typos because even the most careful editor will miss a few, but entire missing words, run-on sentences, misspellings, and bad formatting have my editorial hackles itching for my red pen. So if those sorts of things bother you, don't read the book. 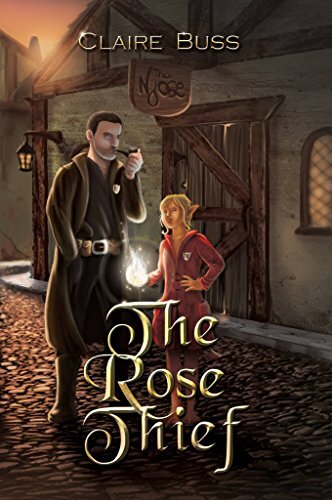 If you enjoy silly adventures with plenty of action and magic and even a kiss or three, you'll probably enjoy The Rose Thief. 3 stars, it would be 5 if the problems weren't so distracting. This is so easy and so fast to throw together. It's tasty, which is also good because it doesn't really keep as leftovers. It's best eaten warm, right from the oven, with a large scoop of ice cream or whipped topping. I found the recipe in an old 1966 cookbook - Mary Meade's Modern Homemaker Cookbook. Great recipes in that thing. Heat oven to 350°. Grease an 8" pie pan, set aside. Stir sugar, flour, and baking powder together. Add egg and vanilla. Stir just until moistened. Add apple. Stir just until mixed in. Spread in pie pan. Sprinkle with cinnamon sugar. Bake for 20-30 minutes, until lightly browned. Serve immediately with plenty of ice cream or whipped topping. 1 large apple, cored and chopped - about 1 1/2 c.
Mix bisquick and sugar. Add milk, egg, and vanilla. Stir until moistened. Stir in apple bits. Spread in greased 8" pie pan. Bake at 350° for 30 minutes. Coming Dec 1st 2017 for 3 months only! Pre-Order now! Winter - A time of festivity, of hardship, and cold. Perhaps it remains the most superstitious of seasons and for many the most beloved. Snow, feasting, gifts, religious importance, family and getting together. And of storytelling! Joining me to help promote this great collection is author A. L. Butcher. Predominantly I’m a fantasy writer, but I also write poetry, dabble in horror and erotica. I love fantasy as it’s such a versatile genre. Anything and everything is possible. I am not sure I have ‘favourites’ – they all are in their own ways. New? I’m working on Book IV of the series, several short stories and I’ve recently got involved with Bundlerabbit curating book bundles. It’s fun, and a great way to get new readers, and for readers to get bargains! I have (as of November) Mythic Tales, as of Dec – Winter Warmer – and then next year I have a charity bundle to commemorate the centenary of the first Armistice, plus several other fantasy/spec fic themed, seasonal themed or more… spicy themed. I’m a bit of a nerd. I like to read a lot, of course, but I also play computer games, watch movies and bum about online. Fav books (not my own) –. Lord of the Rings, Diskworld, Sacred Band, I the Sun, Count of Monte Cristo, Phantom of the Opera, Cadfael, War of the Worlds. Fav movies – hmm Dead Poets Society, Star Wars, superhero stuff, Guardians of the Galaxy. I have a delightful doggy. She’s my first dog and I love her to bits. She’s not a big cat fan so I guess the kitten I keep asking for is probably off the cards. Write what you want to read and what makes you happy, not what is popular at any given time. Keep writing. You probably won’t make a living from one book (unless you’re lucky) but if you write for the love of it then you’ll write because you have to, lest all the voices and stories in your head come tumbling out and cause mayhem. It’s a steep learning curve. Unless you have the money to spend on advertising etc then you’ll have to learn to be your own marketer and promoter. Learn how to use the software you need. Learn what works and what doesn’t. Network, network, network. Read the FAQ and TOS of your publishing site. Seriously – don’t expect to second guess or think it doesn’t apply to you. It’s a legally binding contract and you will save a lot of bother by being familiar with the terms. A very long list! CS Lewis, Terry Pratchett, Mary Shelley, HG Wells, JRR Tolkein, Alexandre Dumas, Ellis Peters, I could probably think of hundreds more. Roman Britain. I love Roman History and so to see the realities of live in one of the provinces would be fascinating. Archos and Olek. Olek eats anything but Archos is a little more discerning. I think we’d have roast lamb, with mint sauce and roasties, followed my late mother’s lemon meringue pie. Yummy. On Earth: Iceland, Canada, the bottom of the sea, New Zealand. Off Earth – Mars. No, it isn't really a cobbler, not technically. But it is a delicious cookie bar that happens to be wheat-free. Cream butter, peanut butter, and sugar until fluffy. Add eggs, baking soda, baking powder, salt, and vanilla. Cream until very smooth and light in color, at least 2 minutes on high. Stir in oatmeal, flours, cornstarch, and chips. Stir until well mixed. Spread in a greased 9x13 baking dish. Bake at 350° for 30 minutes, until very lightly browned on the edges and mostly set in the middle. Let the cookie bars cool for at least an hour before cutting and serving. To make these with normal flour - substitute 1 1/2 c. regular all-purpose flour for the almond flour, rice flour, and cornstarch.